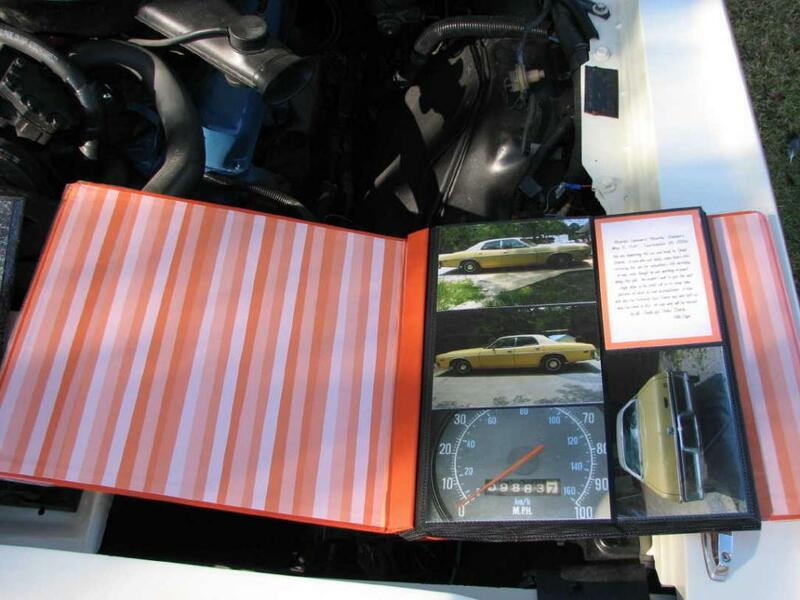 This is a book I created to show off the awsome work "Uncle Charlie" did for us on this car. 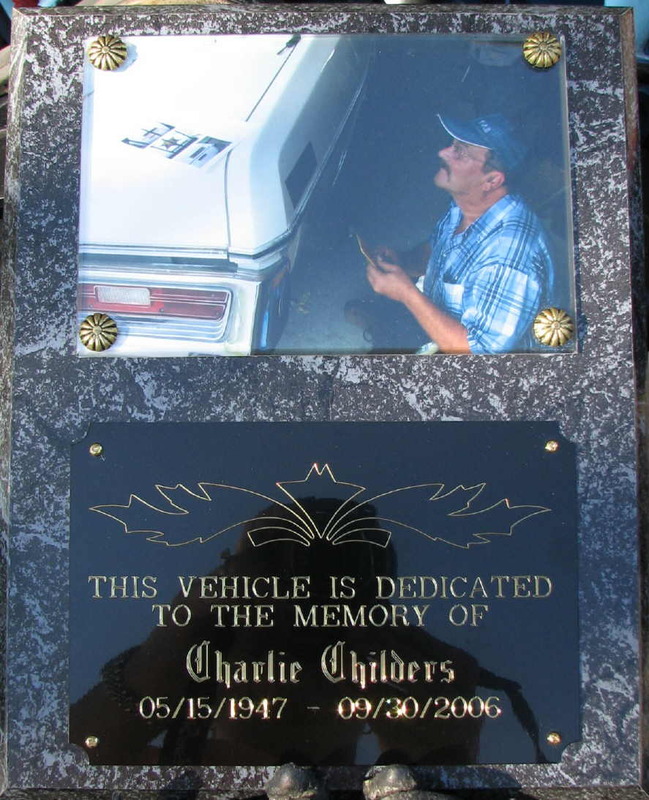 This book and the car is dedicated to his memory to show how much we cared for and loved "Uncle Charlie". We are very pround of it and know that he was also. As he would get a different stage of the car complete he would call Perry to come over and take more pictures. That is what this book is for us a pictorial history of the wonderful job "Uncle Charlie" on this car for us. We just wish that he had been around long enough to see it completed. His next project was to be our 1969 Charger which he had started to work on the day he passed away. He and Perry talked about these projects constantly. 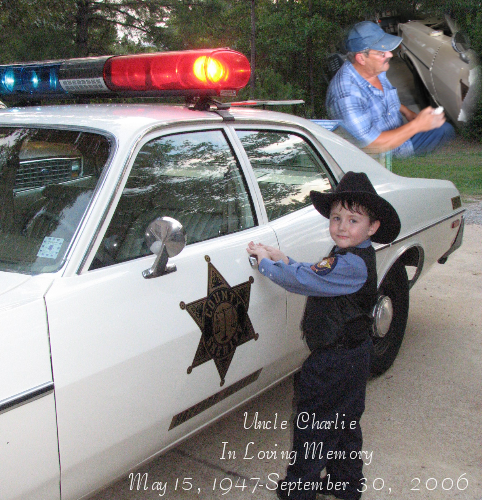 We dedicated this car to "Uncle" Charlie. A man who put many, many hours into restoring this car for Johnathon's 5th birthday. A man, even though he was working enjoyed doing this job. He couldn't wait to get the next stage done so he could call us to come take pictures of what he had accomplished. A man who was my husbands best friend and who left us way too early in life. A man who will be missed by all. Thank you "Uncle" Charlie.